Manchester City playmaker Elano has joined Galatasaray for an undisclosed fee, the Premier League club confirmed on Thursday. Brazil star Elano was a fans' favourite at Eastlands when he joined the club from Shakhtar Donetsk two years ago, but he decided to move on after falling out of favour with manager Mark Hughes last season. "Manchester City can confirm that Elano has completed his transfer to Turkish side Galatasaray," a statement on the club's website announced. He may have struggled to hold down a regular place in the City team this season after Hughes's spending spree on the likes of Carlos Tevez, Emmanuel Adebayor and Roque Santa Cruz. The 28-year-old, who is believed to have cost Galatasaray around eight million pounds, scored 18 goals in 80 appearances for City. boss Mark Hughes has explained the reason behind allowing Elano to join Galatasary for an undisclosed fee. "It is a big year for him with the World Cup and he wants to stay in and around the Brazil squad," said the City boss. "The guarantee of playing week-in, week-out, wasn't there and that was key to his decision to leave. "It is a good deal for the club and a good deal for him." 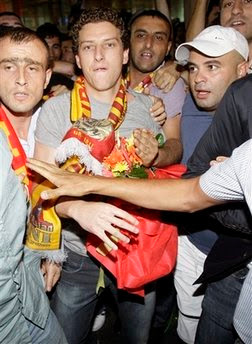 Manchester City have confirmed that Elano has joined Galatasary. The Brazilian midfielder decided to move on after falling out of favour with manager Mark Hughes last season. Following his arrival two seasons ago when Sven-Goran Eriksson was in charge, Elano quickly became a fans' favourite with a string of excellent displays. However his form tailed off in the second half of his debut campaign and he struggled for consistency under Hughes. 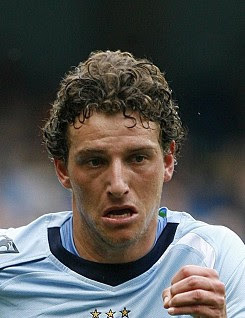 Elano, 28, scored 18 goals in 80 appearances for City and remains a regular member of the Brazil squad. So, is this the best transfer of the season in the Turkish Super league, so far? I think so, let me know what you think?